Since its introduction the big Fun 20 gave us great satisfactions and very good feeling. And at the same time worried us for its dimensions and its look. 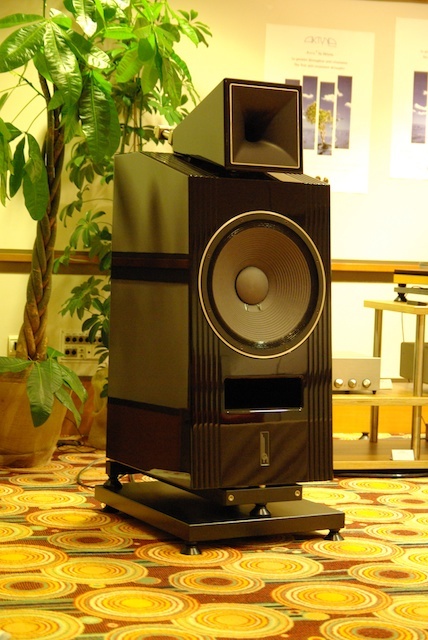 It was (and still is) a great loudspeaker, and sounds really mature with big fundament and musicality, they way we like it. Since the introduction and the price reduction of the Genuin FS 2, its sales virtually stopped. Now it is time to stop its production as well. It was a long weekend: on the first day we made the setup until 2:00 in the morning and this after a long trip. The people and their warmth payed us off: our presentations, each with its own personality, convinced. 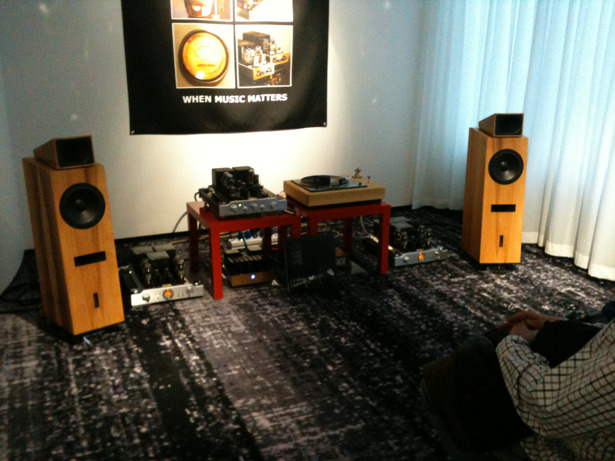 - Room Erfolg: Jürgen Fuchs and Uwe Trabert presented a setup consisting of MastersounD preamplifier and 300B mono blocks connected to a big Fun 20. Their source was the turntable of Roi Borges from Portugal. 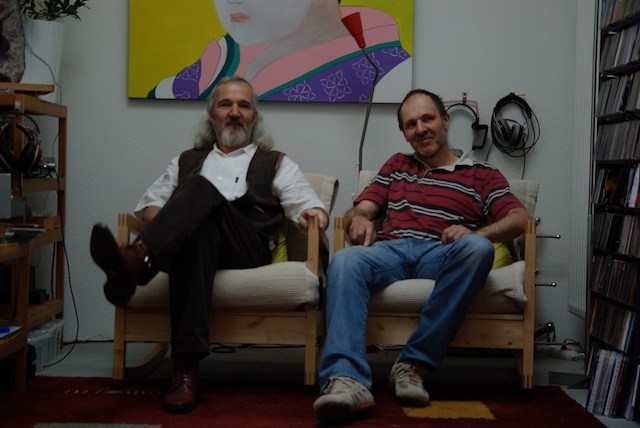 - Room Begeisterung: Volker Bohlmeier has been able to create a special atmosphere and his blues and his warm music let the people stay in the room for longer than usual. 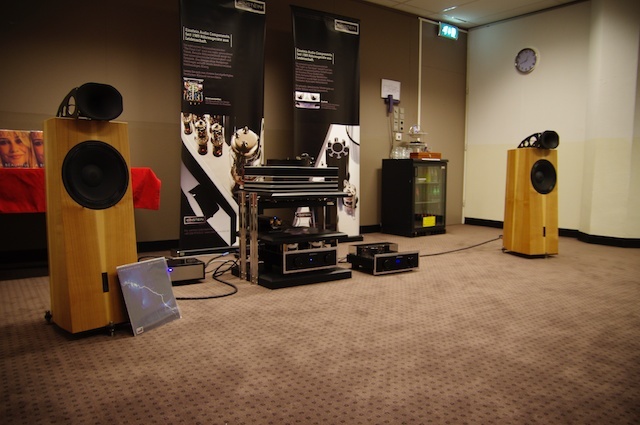 - Conference room of the AAA (Analog Audio Association): unexpected. On Friday, short before the beginning of the show, the setup was not yet decided... good chance I had a Fun 17 with me, the people of the AAA decided to use it. 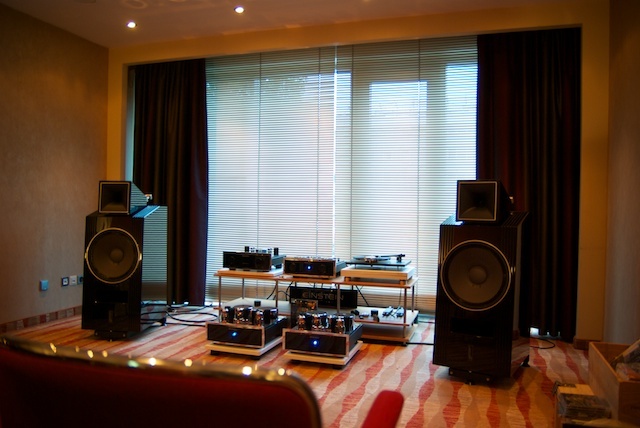 In the conference room have been lectured lot of information and examples about music, recording and sound. The room was usually really quite full! Thanks a lot to the whole organising team and to Rainer Bergmann for the perfect event. This has been one of the most important event in the last months and everything went well. The only flaw has been the wine: it didn’t match our taste. Next time will be perfect as well and you will enjoy it. We enjoyed the visit of lot of people and received really positive feedback on our 2 rooms. 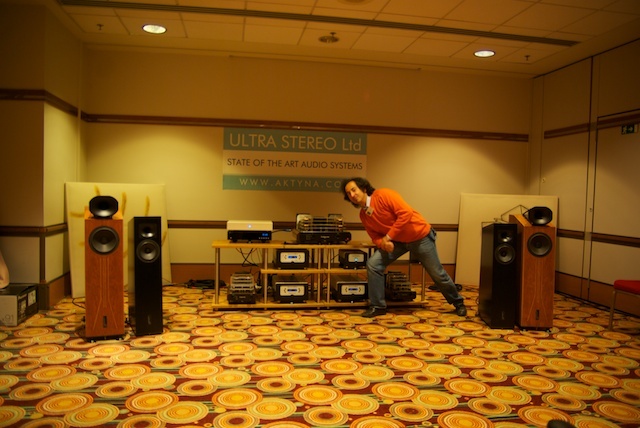 Dimitri, Max und Gigi supported us in Room 374 with the Grandinote power amplifier and the Labtek Tube-SACD player. 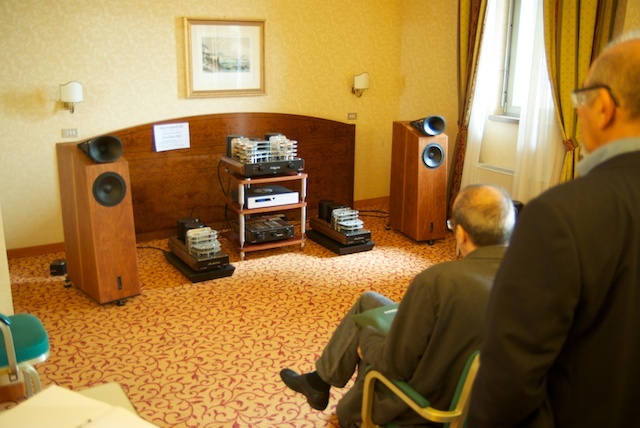 We have been presenting with Einstein Audio Components in room Versailles. We played the big Fun 20, the Fun 17 and the Mini on the floors of the Marriott rive gauche. It has been a nice experience and a great sound. After the show I had the chance to visit some parts of Paris: it was cold. After an unexpected meeting in China, we fixed an appointment with Srajan Eban of 6moons. As usual in the last minutes, but right on time we reached Chardonne in Switzerland. Nice situated on the Geneva Lake. The report has not been positive, and this is luck for the company: we were not yet ready for the international market and its demands, this would have taken us to bigger problems!!! Furthermore the points Srajan focused on have been really good suggestions to improve our products and grow a lot in quality! Here you can read the report. I must say something: if you are disappointed reading it, remember, we did our homework and improved and corrected the flaws Srajan appointed. Come and listen yourself!! 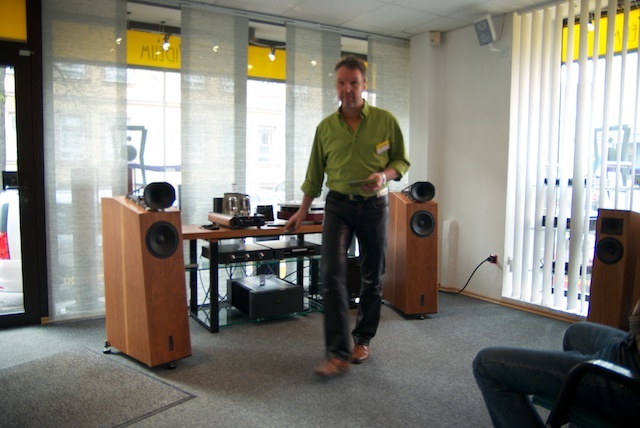 After these changes Stereo, a leading german magazine has chosen the big Fun 20 to become reference speaker. All the customers received the improved version of the big Fun 20. Do you want to have Fun? We made it for you. The Fun 17 and the big Fun 20 have born. 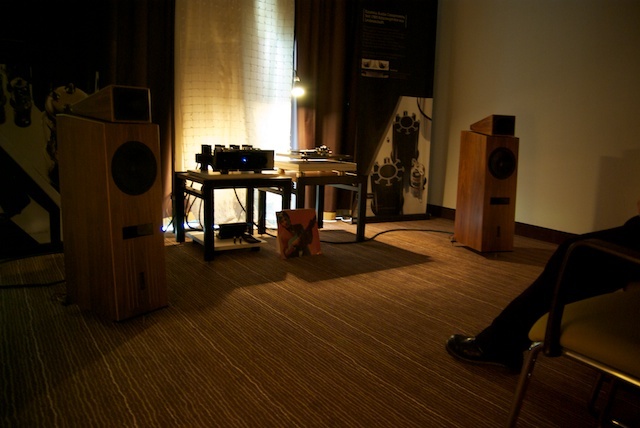 They convince for the natural sound and the perfect matching speed and coherence between the 2 speakers. They use innovative concepts for the horn and several kinds of new materials in the construction of the components. First experience in France. Pretty amusing and cold cold weather. The only problem: we did not get to become a good caffe.